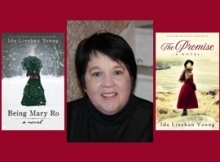 Ida Linehan Young will be signing copies of her books, The Promise & Being Mary Ro, in St. John's on Thursday, April 25, from 6:00 pm - 8:00 pm at Costco. 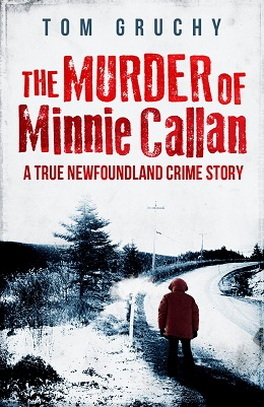 As part of the official launch of The Killdevil Lodge Experience in Gros Morne National Park by Stewart Payne, please join us for a cluster of signings on April 29 & 30 in St. John's. 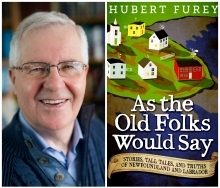 Hubert Furey will be signing copies of his book, As the Old Folks Would Say, in St. John's on Wednesday, May 1, from 12:00 noon - 2:00 pm at Costco. 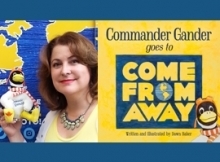 Dawn Baker will be signing copies of her new book, Commander Gander goes to Come From Away, in St. John's on Wednesday, May 1, from 2:30 pm - 4:30 pm at Costco. 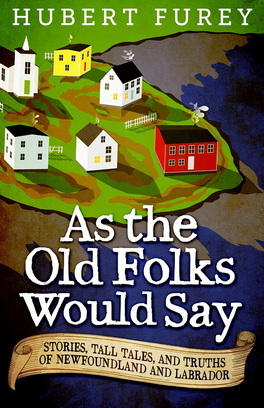 Grandpa Pike will be signing copies of his two books, Grandpa Pike's Outhouse Reader and Grandpa Pike's Number Two, in St. John's on Thursday, May 2 from 12:00 noon - 2:00 pm at Costco. Ida Linehan Young will be signing copies of her book, The Promise, in St. John's on Friday, May 3, from 1:00 pm - 3:00 pm at Costco. 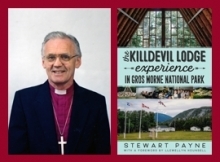 Stewart Payne will be signing copies of his book, The Killdevil Lodge Experience in Gros Morne National Park, in Corner Brook on Saturday, May 4 at Island Treasures from 10:00 am - 1:00 pm and Coles Bookstore from 2:00 pm - 5:00 pm. 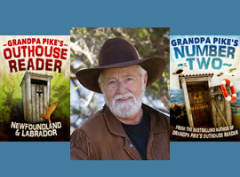 Grandpa Pike will be signing copies of his books, Grandpa Pike's Outhouse Reader and Grandpa Pike's Number Two, in St. John's Tuesday, May 7, from 12:00 Noon - 2:00 pm at Costco. Grandpa Pike will be signing copies of his books, Grandpa Pike's Number Two and Grandpa Pike's Outhouse Reader in St. John's on Thursday, May 9, from 6:00 pm - 8:00 pm at Costco. Ida Linehan Young will be signing copies of her book, The Promise, in St. John's on Friday, May 10, from 1:00 pm - 3:00 pm at Costco. 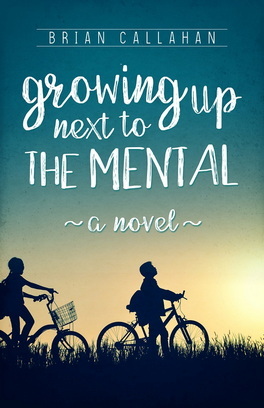 William C. Malone Signing and Reading in St. John's. 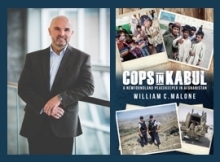 William C. Malone will be signing and doing a reading from his book, Cops in Kabul, at Chapters on Friday, May 10 from 7:00 pm - 8:30 pm. 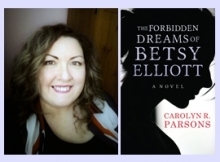 Ida Linehan Young will be signing copies of her books, The Promise & Being Mary Ro, at Coles, Avalon Mall, on Saturday, May 11, from 1:00 pm - 3:00 pm. William C. Malone will be signing copies of his book, Cops In Kabul, at Coles, Avalon Mall on Saturday, May 11 from 3:30 pm - 5:30 pm. 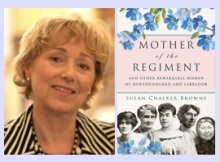 Dawn Baker will be signing copies of her new book, Commander Gander goes to Come From Away, in Corner Brook on Friday, May 24, from 3:00 - 5:00 pm pm at Coles, Corner Brook Plaza.